Another common name for this wild flower is Traveller's Joy. Pinnate compound leaves each comprising three to five eliptical, toothed leaflets grow in an opposite arrangement. White flowers with conspicuous stamens form dense clusters. Individual flowers are typically 2cm across and have four tepals (in fact they are sepals, not petals). 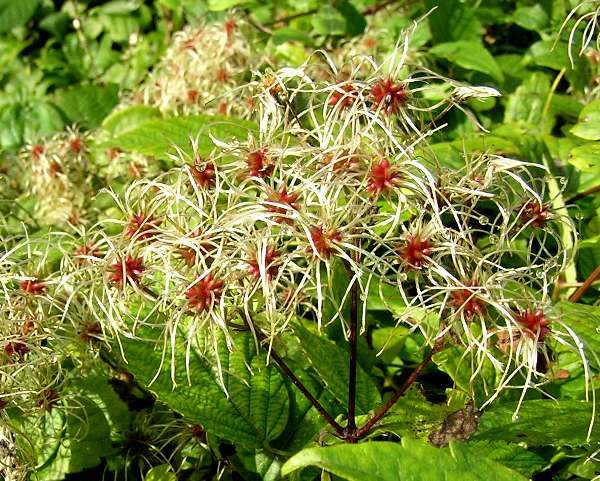 Old Man's Beard is a perennial clambering plant, producing pale creamy-yellow flowers in July and August and greyish-white fluffy seedheads that persist through the winter months. 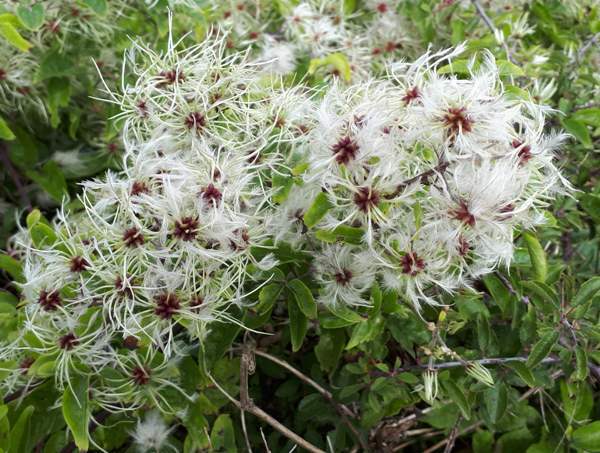 The fruiting heads, which appear in autumn, are a mass of white fluffy seeds - hence the common name Old Man's Beard. Traveller's Joy is common throughout southern England and in Ireland but does not venture very far into Scotland. It can also be found throughout Wales. 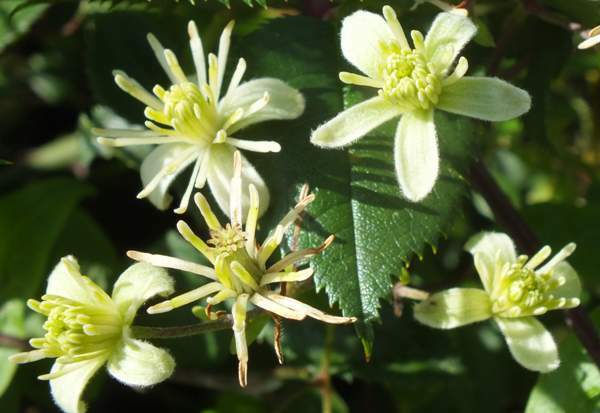 You will find this vine-like plant growing in hedges and on scrubby woodland. It is particularly common in limestone and chalk areas including sand dunes, but we have seen this plant in slightly acidic habitats, too.